Whether it’s delicious Kransekake (Swedish almond cake with icing), crunchy Knapriga Sirapskakor (syrup cookies), or classic Vaniljkringlor (vanilla biscuits), these desserts represent the finest of Swedish traditional sweets. Swedish pastry chef Cecilia Vikbladh offers eighty of her irresistible recipes, with mouthwatering color photographs illustrating the final results. Comforting and diverse, these treats will satisfy any sweet tooth. 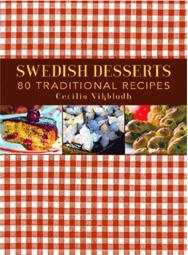 At-home bakers can gain further insight into Swedish culture by enjoying their most coveted desserts. 68 black & white photographs also included.